Preventive maintenance is the key to keeping anything running like new. 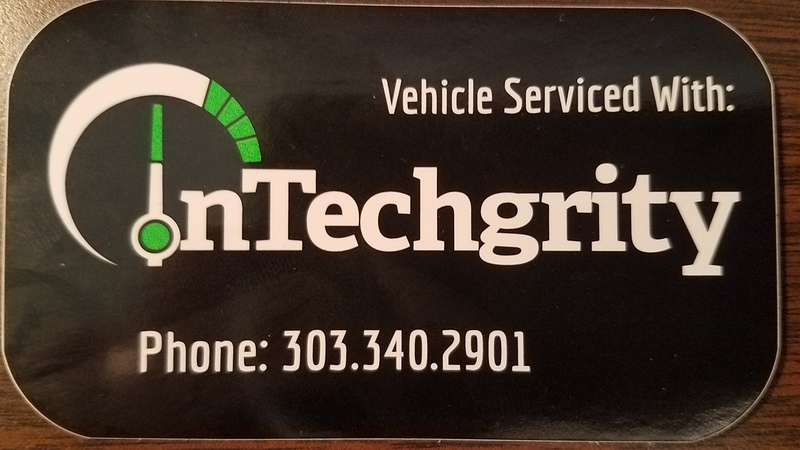 At InTechgrity Automotive Excellence we are committed to helping every customer keep their vehicle running its best. To help folks stick with a fitness program for their vehicle, we have created the Automotive Fitness Program. Every vehicle that has this sticker will receive every fourth oil change for free. This is our way of helping our customers get their vehicles fit, and keep them fit. 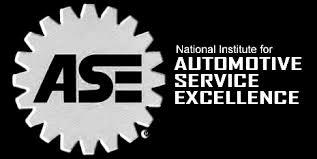 There is no better way to get the best value out of your vehicle than performing proper preventive maintenance. 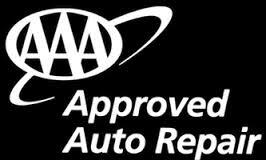 When you bring your vehicle in for an oil change, we will perform our standard full vehicle inspection. Every vehicle that comes into InTechgrity Automotive Excellence gets a full inspection. We inspect everything from the headlights to the tire tread depth and the thickness of the brake pads. By doing a full inspection every time a vehicle comes into the shop, we can see the wear pattern on things like brakes or tires, and catch problems before they become big expenses or safety concerns. When your tires wear, they should wear evening across the tire. 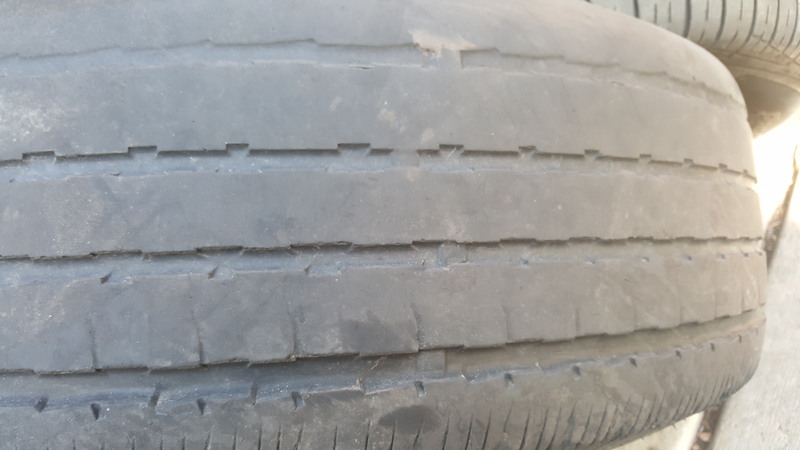 When we check the tire wear, we can catch an issue like inside edge wear, and correct the cause before more damage is done to your tires, saving you significant money. Uneven tire wear can indicate larger problems with the suspension or alignment. Some tire wear issues are simply a problem with tire inflation. 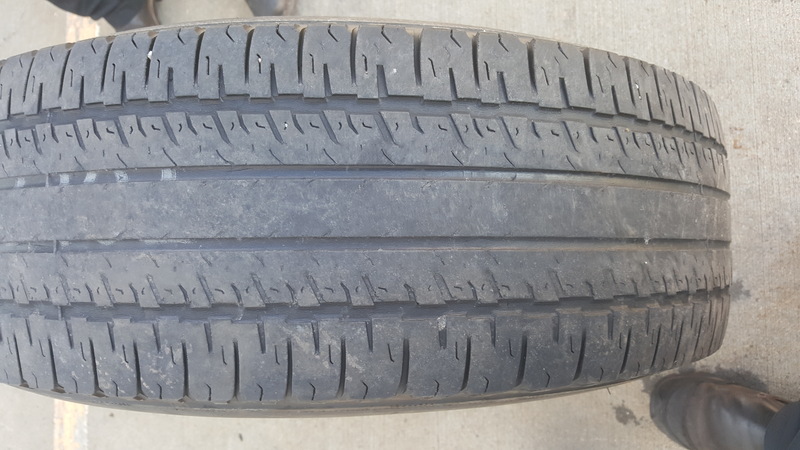 Center wear indicates the tire has too much air in it. This problem is solved by simply correcting the tire pressure. In this case, taken some air out of the tire. 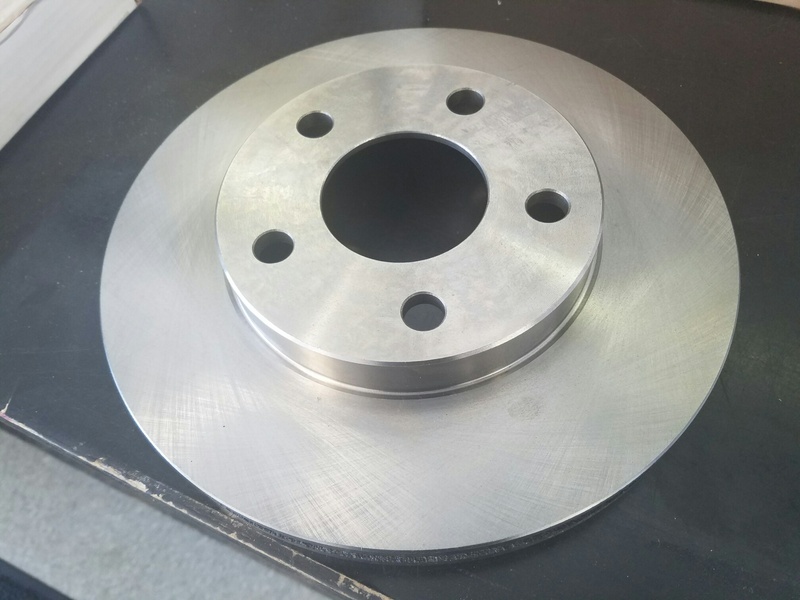 When we measure the pads on your brakes, we can determine the number of miles those pads have left on them, BEFORE they deteriorate and cause a problem with the drums or rotors. Again, saving significant money, and possible vehicle downtime. This also insures that your vehicle is safe to operate. 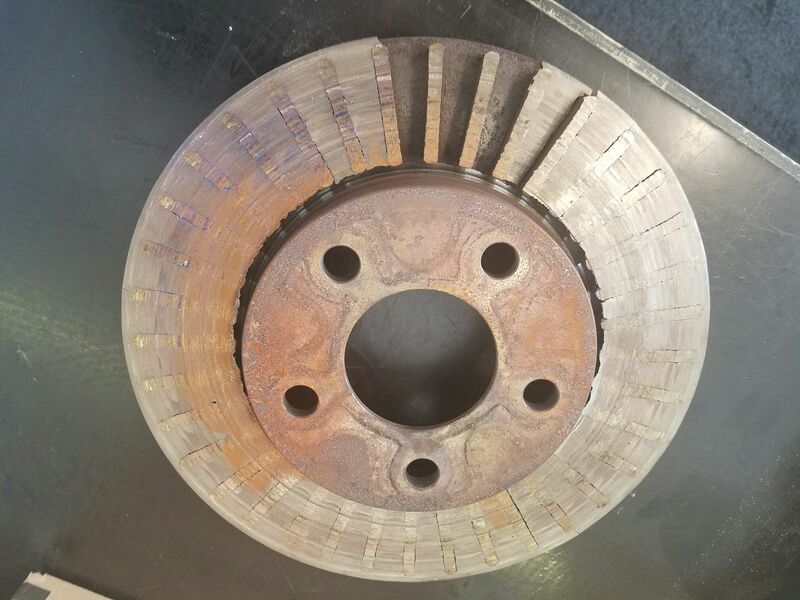 There are few things as sure to create a dangerous situation as a vehicle brake failure. By inspecting the transmission fluid we can determine if your vehicle has any transmission fluid leaks, bad or near end of life fluid, and foreign materials in the system that would lead to very expensive transmission problems. Headlights are an important safety item. If the lights are not working properly, a vehicle can become invisible at night. 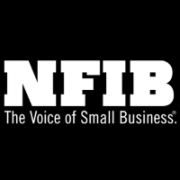 We want to keep you safe at all times, and catch any issues before they create a significant problem. Dim lights often indicate an issue with the charging system, which could lead to a vehicle being unable to generate enough power to start or remain running. By testing the charging system and battery, we insure that your vehicle will be ready for that next, and seemingly always unexpected, cold spell. An inspection of the engine helps insure that everything is running properly, and you will have no unpleasant surprises on the way to your next important meeting.